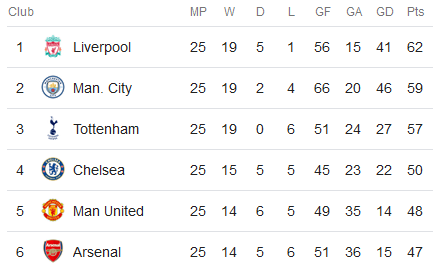 Clearly, holding top spot in the Premiership right now doesn't mean anything until the 38th game is completed. It sure does a lot to boost a club's confidence, though. It also brings out the best in any opponent, as Liverpool is rediscovering. West Ham United, cozily ensconced in mid-table, showed no signs of cowing to the mighty Red wave after surrendering an early goal. Instead, dudes came right back with one of their own and held on the rest of the way to earn a 1-1 result. Manuel Pellegrini's Hammers not only got a point, but they also helped his former team, Man City, in the title race. ... which means they can lose their leadership to City this coming Wednesday if the Sky Blues beat Everton at Goodison Park. Both teams started the match studying each other, as if an early mistake could alter the course of mankind. The Hammers were clearly in feisty mode and had the better opportunities. They probably should've gone ahead in the early going via separate chances from Felipe Anderson and Javier Hernández. But no. West Ham doesn't get breaks like that when playing a big brand. Liverpool had the most of the ball but couldn't transform it into effective chances. However, in the 22nd minute, the Reds found an opening. Adam Lallana got the ball on the right and showed superb class in delivering it to James Milner; dude was offside, but missed calls are trending these days. Red joy wouldn't last long, though. Just six minutes later, the hosts leveled through Michail Antonio. After that, the Hammers grew into the game and actually had the better chances, but they're the Hammers. Whether it's a matter of luck or destiny -- or a little bit of both -- that's them against big brands. In the second half, the game cooled down, and the best chance was at the 93rd minute, when Keïta picked out substitute Origi -- he was also offside, but the linesman didn't give it -- who found himself face-to-face with Fabianski, but the Belgian striker wasted a golden opportunity. Until they let VAR call offside, no one.